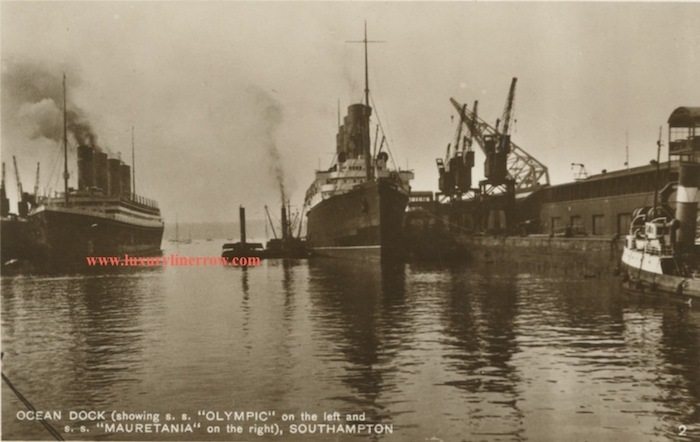 Two of the most famous liners ever built are featured in this real-photo post card. 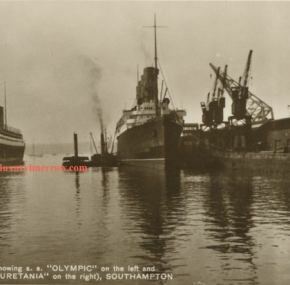 Olympic and Mauretania are front and center and thus showcase the commodious size of Olympic compared to the previous holder of the size record. The image was taken sometime between 1922-1926. Olympic is in Titanic’s berth but docked bow in unlike her sister’s one visit. The postcard is unused and is in excellent condition.